If at all possible, you want to avoid mortgage insurance, because it can add substantially to the cost of your home loan says Local Records Office. 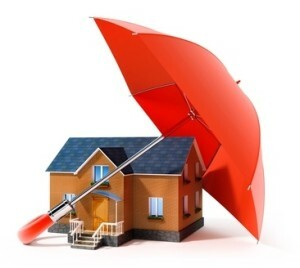 Worse, as of the first of this year, mortgage insurance is no longer tax deductible. As an example, the Federal Housing Administration (FHA) requires two kinds of premiums on the loans it backs. The first is the upfront mortgage insurance premium (MIP). Borrowers have to pay this no matter what their homes’ Loan to Value (LTV) or their credit scores. This premium is 1.75 percent of the mortgage. Say you buy an average home on Bolton St., in formerly blue collar South Boston, for $500,000, just over the median price. You put 4 percent down, $20,000. For a $480,000 mortgage, the premium would be $8,400, either paid at closing or added immediately to the cost of the loan. This, before you’ve even spent a day in your home. That’s just the first FHA insurance premium. The second is the annual MIP, although it’s added to your monthly mortgage payments. This MIP is determined by the borrower’s LTV, loan size and term. The numbers vary but for this $480,000—financed over thirty years at 3.5 percent with a monthly payment of $2,155.41—a borrower would pay a premium of $6,480 a year for 10 years. Add the upfront MIP, and the total paid in insurance would be $73,200. So, how can borrowers avoid mortgage insurance? Lenders offering loans that aren’t backed by the government require private mortgage insurance (PMI) for any loan where the down payment is less than 20 percent. Depending on the size of the down payment and the duration of the mortgage, PMI fees vary, from 0.3 percent to 1.15 percent of the original loan amount per year. By making a larger down payment, you avoid these fees altogether. If you’re just starting out, it’s sometimes hard to come up with 20 percent or more. Just to buy that modest home in “Southie,” you’d need a deposit of $100,000. This takes a bit of creative accounting. If you have most of the deposit you need, say 15 percent, you should be able to borrow against a third of that equity, with a home equity loan (HELOC). Use that money to pay the first lender and you’ve reached the 20 percent threshold, so that mortgage insurance isn’t needed. Unlike a PMI premiums, interest from a HELOC is tax deductible on a loan up to $100,000. Your interest rates will be higher on your HELOC than your first mortgage, so do the math to see if this approach works for you. The reason why the insurance premium on your new home in South Boston only lasted for a third of your 30-year home loan, is that once your LTV in the property drops to 78 percent, the FHA mandated insurance premium automatically falls off. Under law, that is what should also happen with a private mortgage. If the loan is considered high-risk, the insurance requirement on a private loan can last until its 77 percent LTV. Be aware that home appreciation could also push your LTV down, so pay attention to local home values. You might have to pay for an appraisal to prove your point, but it could be well worth the money to free yourself from mortgage insurance.